SCARNESS Beach transformed into a party venue on Wednesday, with young people having some fun in the sun. 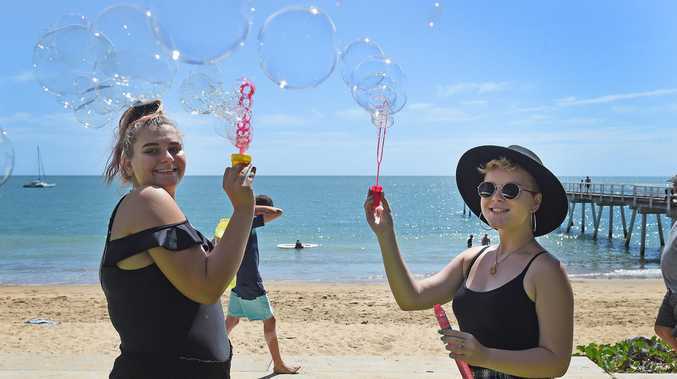 Children and teenagers came together to play sport, blow bubbles, do some colouring in and enjoy a free sausage sizzle. The beach party, hosted by Red Cross, was part of Youth Week. The fun atmosphere provided a safe environment for attendees to enquire about services available in the region for young people. Red Cross team leader Liz Wild said staff spoke to children about the organisation's mental health services, a program helping with youth housing and homelessness, as well as a youth support service. "It was a space for young people to connect, and meet with services in a safe place," Ms Wild said. "It's a great way for them to come together."